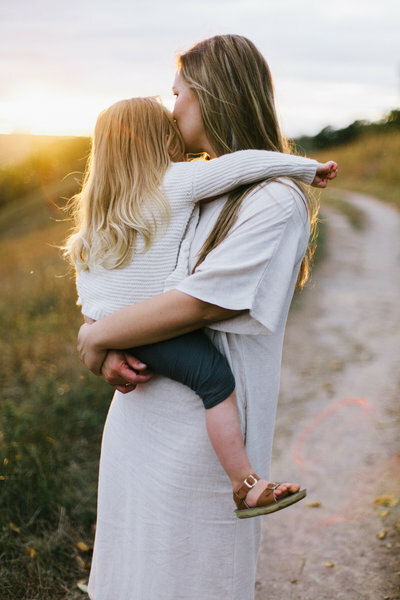 Fount was founded by motherhood photographer Tiffany Farley, who desired to honor the art of being a mother and to build a community for those who photograph it's wonder. We are committed to iconic imagery, words that dig beneath the surface, and the community that rises up when both these elements work in tandem. Welcome, we are so glad that you're here. “As my little boy grows older, I am beginning to see just how quickly time passes. Everyday he is saying or doing something new, and I find myself bursting with pride, yet panicking about how quickly he is growing. Time is so precious and fleeting, and family photos are a way to quietly remind me of just how special this point in our lives is. Being a photographer myself, I’m quite picky about family photos and with whom we choose to invest our time and money. When I stumbled across Hannah’s work online, I knew she would be a perfect fit for us. Hannah was so incredibly patient and kind- essential qualities when working with any toddler. She effortlessly captured our family in a way that I will forever be grateful for. I already get teary eyed looking back at these photos, and they were taken only a few weeks ago! “I met Emily, the mother, for the first time at our shoot together and we were instantly friends. Both being photographers, we instantly connected and honestly oo’d and aah’d at the light the entire time. Between the torrential down-poors and crazy temperatures we had experienced just days before in Texas, we couldn’t believe we had snuck in a session during the absolute perfect weather, and the sun was shining the most beautiful golden light we had seen in a long time. These three are such a precious family and I can’t stop showcasing them! Sweet Bear loved dinosaurs and was completely comfortable in front of the camera (while holding said dinosaurs). He had such a sense of curiosity and we quickly turned the shoot into a dinosaur/creature chasing adventure – and it was the best. Working with fellow photographers to capture their family is never a small feat and always comes with its set of nerves that I feel right before the shoot. I hadn’t met Emily or her family until we both pulled up to the shoot and I immediately felt like we were friends. As a mother Emily was incredibly patient, kind, and soft spoken with her adventurous and energetic little boy, Bear. Her husband Matt also had a similar demeanor, and was very playful with Bear, capturing his attention by pretending to be a dinosaur and helping Bear pick out the “pterodactyls” flying in the air. They were such a sweet family and it was so much fun capturing them in their own little world! Thank you- the easiest way to stay connected to The Fount Collective!